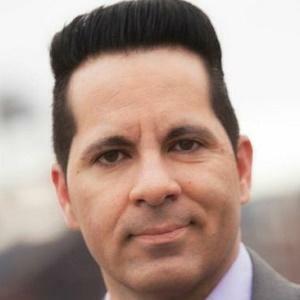 Sportswriter for the Associated Press, author, radio and television personality, and breakout reality television star from WEtv’s first season of Marriage Boot Camp in 2013. He and his wife Remy would go on to star in Remy and Rob, a spin-off special following the Boot Camp Reunion. He also authored the book Football Faith. After growing up in south Philadelphia, he moved to southern New Jersey in 1990. He received a Bachelor of Arts in English at Rutgers-Camden University and a Master of Journalism from Temple University. He began covering Philadelphia sports for the AP in 2000. He is an NFL writer, an MLB Hall of Fame voter and the former president of the Philadelphia chapter of the Baseball Writers' Association of America. He is a member of the Deacons Prison Ministry softball team. He and Remy have twin daughters named Alexia and Melina. He authored a biography on Phillies legend Mike Schmidt, and co-authored children's books on Roberto Clemente, Randy Johnson and Oscar de la Hoya.